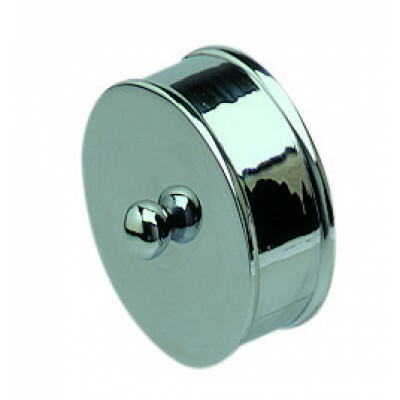 Richard Burbidge Trademark silver effect medium size metal end cap for wall mount handrails. Fits 54mm diameter round handrails. Fitting is by a decorative screw in the end face.